Routine Bowhunt: My 3 Step Process to Increase Your Success - the4pointer.com | Real Hunts. Unreal Stories. When I first started bow hunting I made it a routine to run through a mental and physical checklist every time I climbed into a stand. Over the years I’ve learned that it is just as valuable to run through the checklist throughout each hunt as well. Successfully connecting with a whitetail often comes down to doing all the little things right in the adrenaline filled moment before the shot. In this article, I’ll explain what I do to be ready for a shot ­before an opportunity is presented. 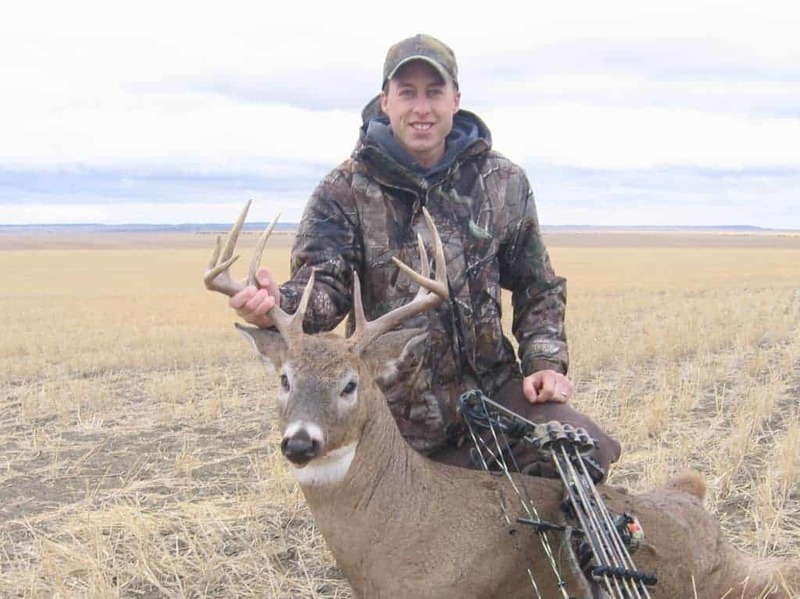 Other than practicing, making sure you have done everything possible to be ready for a shot when the opportunity presents itself is the most important thing you can do as a bow hunter to increase your odds of success. Sure, there are other variables that can alter the course of a hunt, such as wind direction, weather patterns, or Champ the neighbors dog, but those are items that you cannot control; only prepare for. I’m referring to the elements of a hunt that you CAN control. Since you can only prepare for variables like wind, weather, and Champ what is left to control? For starters…You! Only you can control how ready you are for each shot opportunity. You could be a champion archer but if you aren’t ready for a quick shot opportunity you’ll just be an average person waving goodbye to ole Big Boy as he fades in to the brush. Identify Yardages – This is especially important if you hunt in wooded areas where deer have a tendency to show up unannounced. I always range identifiable objects (tree stumps, rocks, logs, deer trails, etc) and commit the distances to memory. This can take me five to ten minutes before I am confident I’ll remember when the time is right. If you don’t own a range finder you can always pace these distances off before climbing into your stand. Practice – After memorizing the distances I then pull my bow back and hold on each identified target for 5-10 seconds each. This helps me cement the distances into my memory vault and visualize what a shot may look when a deer walks in. Dry Run – After ranging each distance and then holding my bow at full draw, my third and final step is to walk through a series of dry runs. I pretend a deer has suddenly appeared and I need to grab my bow, stand up, and come to full draw – without alerting it to my presence. This has a couple benefits. First, it lets me know if I need to be aware of any “hang ups” that may occur when grabbing my bow and standing up. 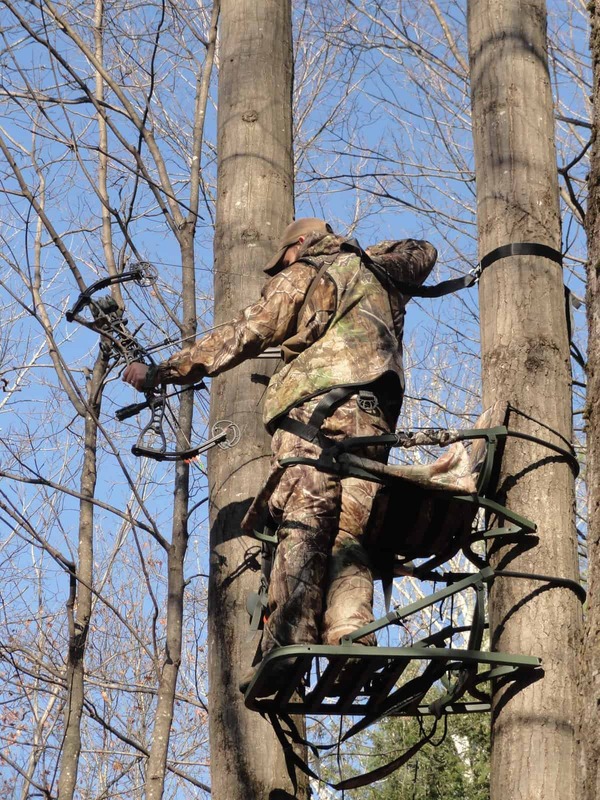 Sometimes limbs will snag your bow while maneuvering into position or the tree stand will interfere if the shot angle is too steep. The little things matter in the moment of truth. It’s much better to know them before a deer is in front of you. Second, I have now visualized the yardages three different ways which further ingrains them in my head and by now they are almost second nature. After a few more dry runs during the hunt and they will be. 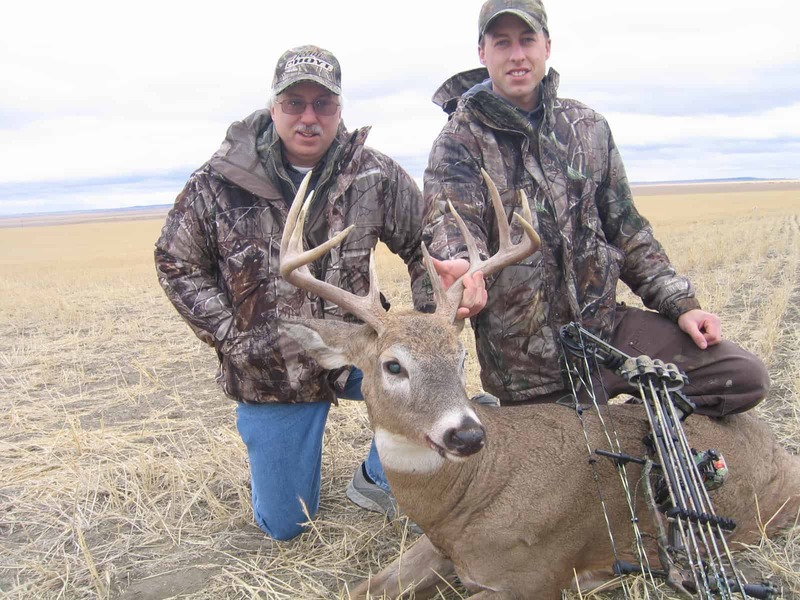 In 2009 my dad and I traveled to Montana in hopes of scoring on a nice whitetail. On the third night of the hunt the outfitter decided I should sit in a stand they called “The Zoo”. The stand set up consisted of a ladder stand secured to a massive cottonwood tree that leaned into the stand in a way that prevented anyone from sitting up straight. The guide explained that the deer were probably going to come from behind me to my right and walk parallel to the stand out into the field presenting me with a shot 90 degrees to the right of the direction the stand was facing. Shots to the right can be difficult for a right handed archer. Along with the leaning tree and the tough shot angle, I also discovered that the tree was so large I couldn’t get my safety harness wrapped around it. My only other option was to secure it to the arm of the ladder stand which I figured was better nothing at all. On my first practice routine I realized that a shot at the buck I’d come to kill would be next to impossible if he came from where the guide implied he would. The tree leaned out too far and the low position of the safety harness prevented any shot to my right. My arm kept getting entangled with the strap. I quickly realized the only way I would be able to get off a shot would be to stand with my left leg a few rungs down from the platform on the ladder stand and my right knee on the platform. In that position I could lean out away from the ladder stand and shoot to my right. I was actually quite comfortable standing like that but it would have been very cumbersome trying to figure it out when a buck was in front of me. Thankfully, I was ready and my mind and body went on autopilot the moment I saw him. As a result I was able to focus on stopping the deer so I could get off a good clean shot, which I was able to do.